Seagulls and pigeons have decided to put years of animosity behind them after discovering a shared love of chips. The declaration, made on a lamp post in Fort William, has stunned both communities. “I hated those flappy bastards,” said Mr C. Gull of 14 Glen Nevis drive. However, I now look forward to years of cooperation and staring at each other through cold, lifeless eyes. 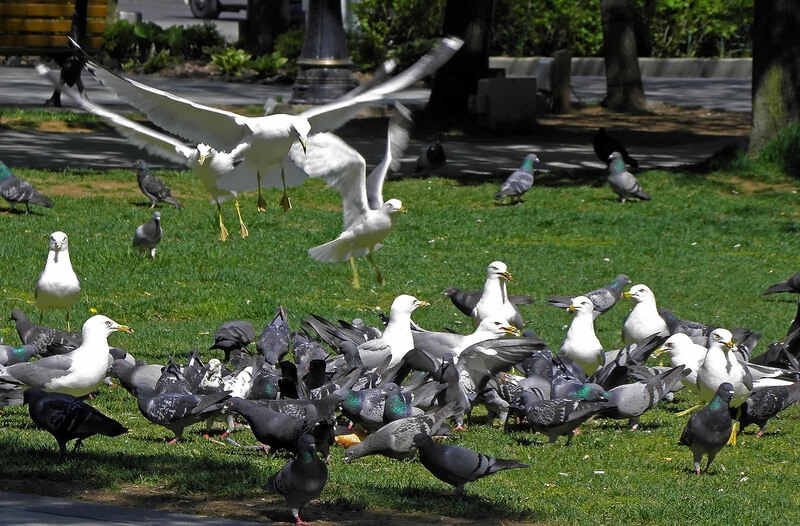 David Anderson, a local working pigeon, was pleased to find that seagulls also enjoy chips and hoped that this will discourage future attempts to disembowel him.